Am I an Employee or Contractor? Still Time Left in 2017! According to the IRS, nearly fourteen million taxpayers will be granted a filing extension for the 2017 tax season. Anyone can receive a six month extension to file their tax return by using Form 4868. It's important to note that even with an extension on filing deadline, any payments due to the Federal Government are not included in the extension. Tax payments are still due on or before the April 17 tax deadline. 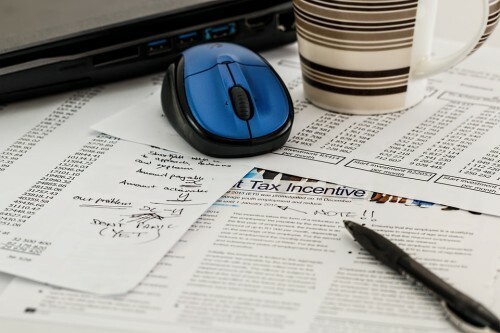 Our Pittsburgh Tax Experts can help prepare and file your personal taxes and provide help with any complicated tax matters or extended tax filing deadlines. Contact us today at (412) 931-1617. There are special circumstances, however, that push both both filing and payment deadlines.Taxpayers who are victims of Hurricane Maria in Puerto Rico and the Virgin Islands, members of the military serving in a combat zone and Americans living and working abroad get extra time to both file their tax returns and pay any taxes due. Victims of Hurricane Maria in the U.S. Virgin Islands and in the Commonwealth of Puerto Rico have until June 29, 2018, qualify for more time to file their tax returns and pay any taxes due. The June 29 due date also applies to taxpayers who are victims of Tropical Storm Gita in American Samoa. Taxpayers affected by the California wild-fires, flooding, mudflows and debris flows in parts of southern California have until April 30, 2018, to file and pay. This relief also includes additional time for making a 2017 IRA contribution, making estimated tax payments, and filing payroll and excise tax returns and corporate income tax returns originally due or on extension during the relief period. It also applies to tax-exempt organizations required to file Form 990 series returns with a deadline falling during this period. For details on available tax relief and information on how to take advantage of it, visit the Around the Nation page on IRS.gov or see IRS Publication 976, Disaster Relief. Combat zone extensions give affected taxpayers more time for a variety of other tax-related actions, including contributing to an IRA. Various circumstances affect the exact length of the extension available to any given taxpayer. Details, including examples illustrating how these extensions are calculated, can be found in the Extensions of Deadlines section in Publication 3. U.S. citizens and resident aliens who live and work outside the U.S. and Puerto Rico have until June 15, 2018, to file their 2017 tax returns and pay any taxes due. The special June 15 deadline also applies to members of the military on duty outside the U.S. and Puerto Rico, who do not qualify for the longer combat zone extension. Attach a statement to the tax return explaining which of these situations applies. Though taxpayers abroad get more time to pay, keep in mind that interest, currently at the rate of five percent per year, compounded daily, applies to any payment received after April 17. For more information about the special tax rules for U.S. taxpayers abroad, see Publication 54, Tax Guide for U.S. Citizens and Resident Aliens Abroad, on IRS.gov. Find Help at our Tax Center! Serving the Greater Pittsburgh area & the North Hills: Pittsburgh PA 15237 - 15235 - 15221 - 15213 - 15236 - 15227 - 15212 - 15206 - 15205 - 15210 - 15217 - 15228 - 15216 - 15205 - 15219 - 15201 - Cranberry TWP PA 16319 - Wexford PA 15090 - Sewickley PA 15143 - Ross Township PA 15237 - 15229 - 15214 - 15209 - McCandless PA 15090 - 15101 - 15237 - West View PA 15229 - Franklin Park PA 15237- Warrendale PA 15086 - 15095 - 15096 and the surrounding neighborhoods in Allegheny County Pennsylvania.